What are your memories of starting at COOK? I’m been here seven and a half years, and I was originally placed by an agency. 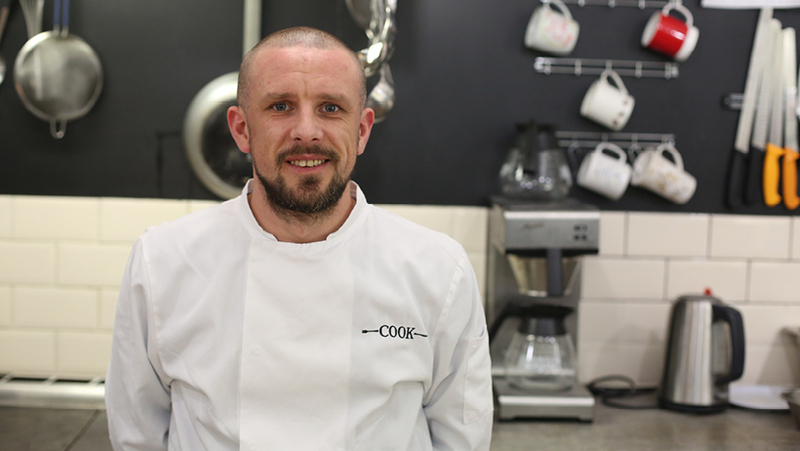 Within a week of working in Sealing & Packing, I realised COOK was where I could really develop. Sure enough, 3½ years later I was promoted to the Chef Team and, after another 3 years, I was made Junior Sous Chef. And now you’ve been here all those years, what are your thoughts. I can really believe in myself, because of the strong base of support I have. I’ve learnt a lot – there’s plenty of courses and training if you want it. And the people are nice and friendly. 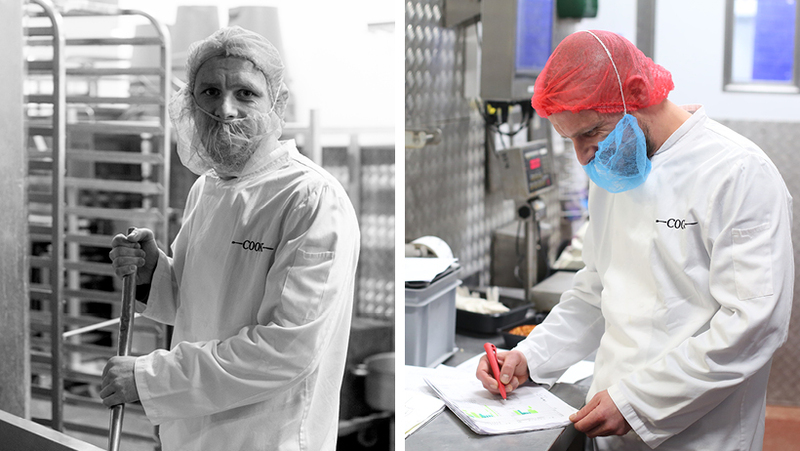 What’s your best memory of working at COOK so far? It has to be when I was promoted to chef. What are your favourite meals to make at work? I like the more unusual meat dishes, like those with venison or wild boar. Finally, what would you say to someone thinking of working at COOK? You can build a career and a future here. That’s my experience. They’ll give you a chance and help you on your way. It’s up to you.